Ambaji is an important temple town with millions of devotees visiting the Ambaji temple every year. It is one of the 51 Shakti Peethas. 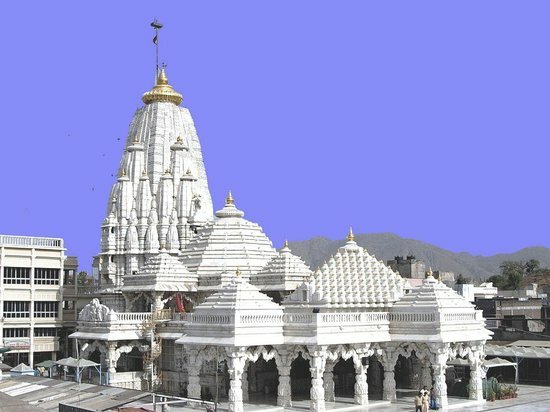 Ambaji mata temple is a major Shakti Peeth of India. 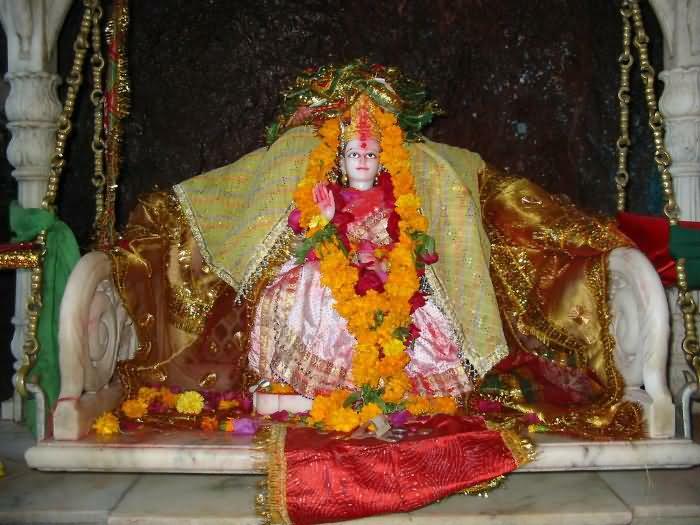 It is situated at a distance of approximately 65 kilometres from Palanpur, 45 kilometres from Mount Abu and 20 kilometres from Abu Road and 185 kilometres from Ahmedabad 50 kilometer from Kadiyadra near the Gujarat and Rajasthan border.In the holy temple of "Arasuri Ambaji", there is no image or statue of goddess the holy "Shree Visa Yantra" is worshiped as the main deity. No one can see the Yantra with naked eye. The photography of the Yantra is prohibited. The original seat of Ambaji mata is on gabbar hilltop in the town. A large number of devotees visit the temple every year specially on Purnima days. A large mela on Bhadarvi poornima (full moon day) is held. Every Year from all over the country people come here walking all over from their native place just to worship MAA AMBE in September.The whole Ambaji is lighted up as the whole nation lights up at the festive time of Diwali. The temple is open from 7.00 am to 11.30 am, 12.30 pm to 4.30 pm and 6.30 pm to 9.00 pm. There is a bus-station of Gujarat State Transport (GSRTC) connecting to all major cities of India, and a railway station is at Palanpur of DistrictBanaskantha, North Gujarat.India. 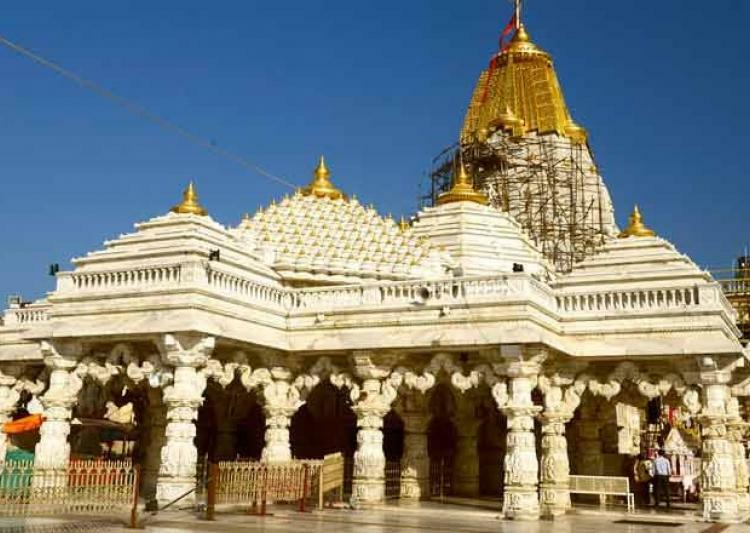 Ambaji can be reached through Himatnagar road which is connected with National Highway No.8 (Mumbai to Delhi).The other road which Passes throughPalanpur and Danta and connects with State Highway SH 56 to reach Ambaji. The nearest Railway station of Gujarat is at Palanpur Junction which comes under the administrative control of Western Railway zone of the Indian Railways. It has direct rail links on the broad gauge to the cities of Chennai,Thiruvananthapuram, Mysore, Bangalore, Pune, Mumbai, Jaipur, Jodhpur, Delhi,Dehradun, Muzaffarpur, Bareilly and Jammu. It is connected to most of the cities and towns in Gujarat such as Ahmedabad, Surat, Vadodara, Bhuj, Rajkot, Jamnagar and Porbandar.Indian Railways’ proposal to double the broad gauge line between Palanpur and Samakhiali has received government backing.The doubling will benefit the districts of Kutch, Patan and Banaskantha in the state of Gujarat. The other way of nearest Railway station is at Abu Road which is 22 kilometers away from Ambaji.